"In North America there is one large animal that belongs almost entirely to the realm of towering rock and unmelting snow. Pressing hard against the upper limit of life's possibilities, it exists higher and steeper throughout the year than any other big beast on the continent. It is possibly the best and most complete mountaineer that ever existed on any continent. Oreamnos americanus is its scientific name. Its common name is mountain goat." Resourceful, belligerent, and unbelievably sure-footed, the mountain goat is a white-coated survivor from the Ice Age. Oreamnos americanus shares its dizzying alpine world with elk, eagles, bighorn sheep, and grizzlies. 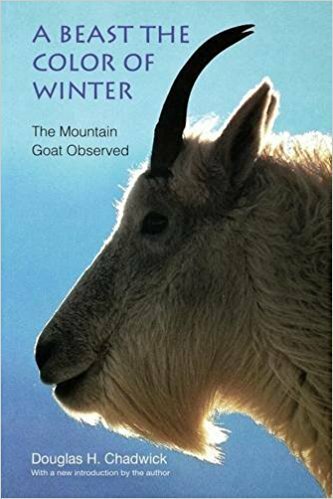 This first full-length book on the mountain goat offers a superbly written portrait of its life, habits, and environment. 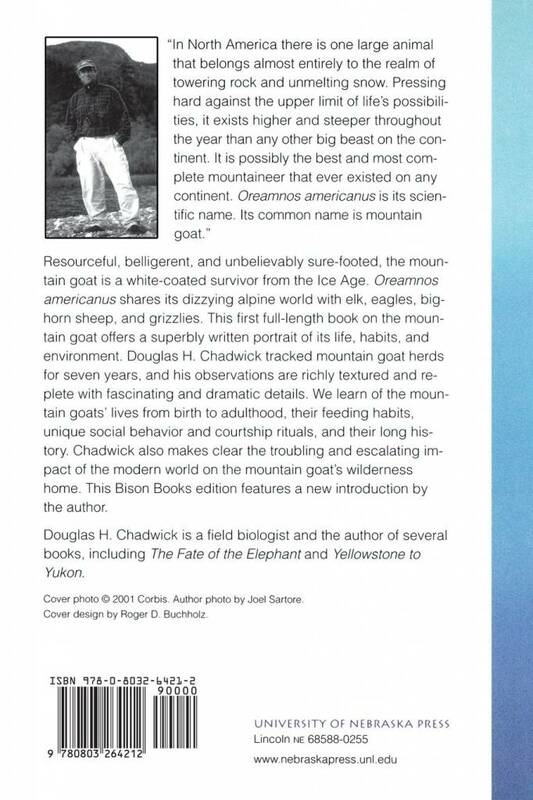 Douglas H. Chadwick tracked mountain goat herds for seven years, and his observations are richly textured and replete with fascinating and dramatic details. We learn of the mountain goats' lives from birth to adulthood, their feeding habits, unique social behavior and courtship rituals, and their long history. Chadwick also makes clear the troubling and escalating impact of the modern world on the mountain goat's wilderness home. This Bison Books edition features a new introduction by the author.